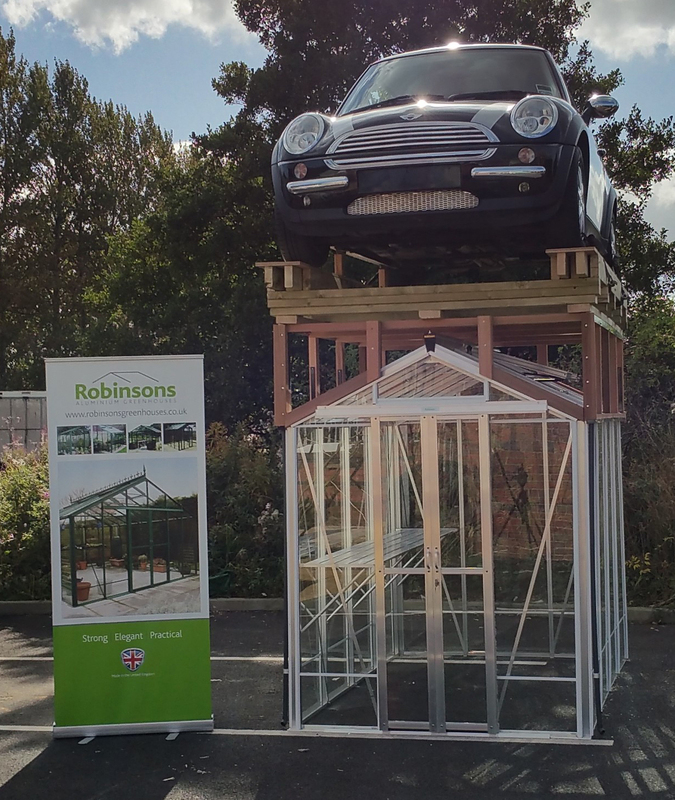 The 10’7” wide Robinsons Rosette is probably the most famous of the Robinsons range, having been used by TV gardeners both past and present. 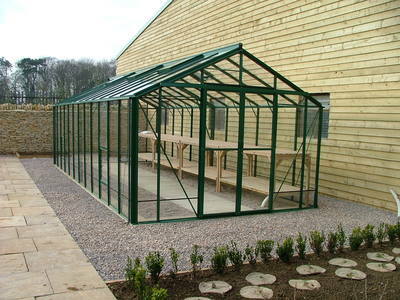 The width each side the door means that you can fit the extra wide 10 slat (3ft wide) staging in if you wish, and along with a high level shelf you can have a great capacity in your new Rosette greenhouse. 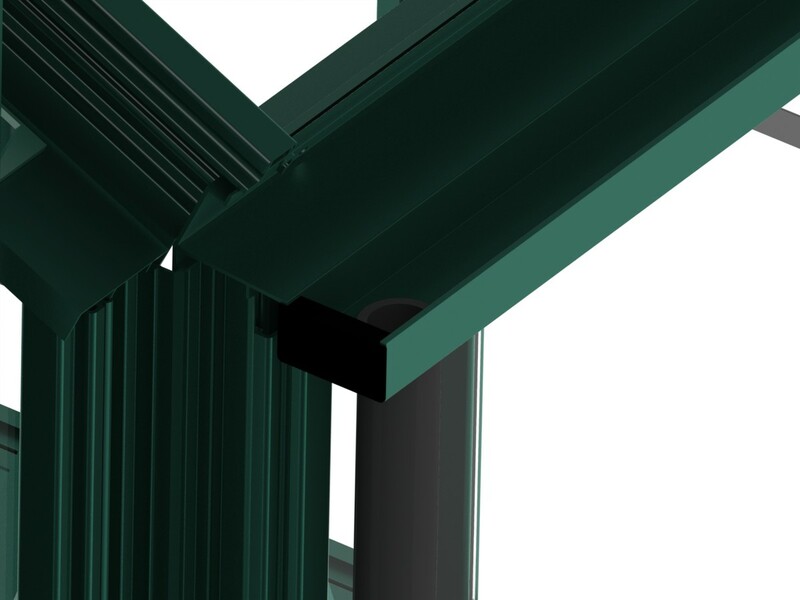 The famous strength of a Robinsons emanates from the unique box section glazing bar design, which is both pleasing to the eye and extremely strong. 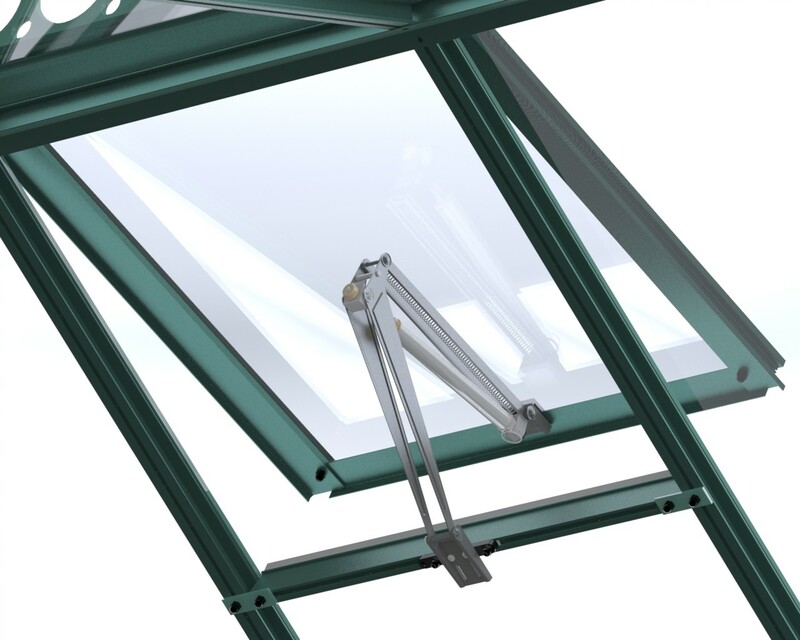 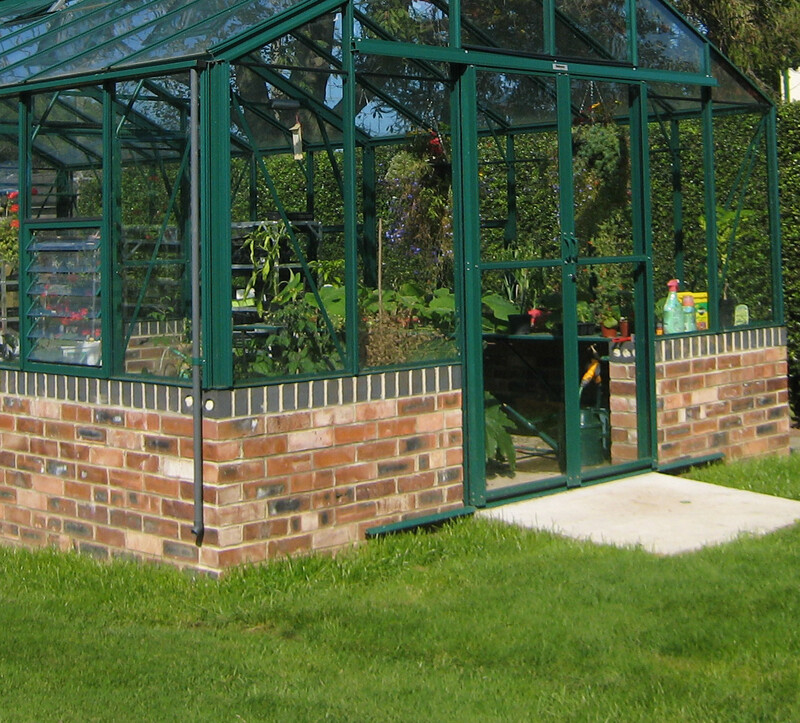 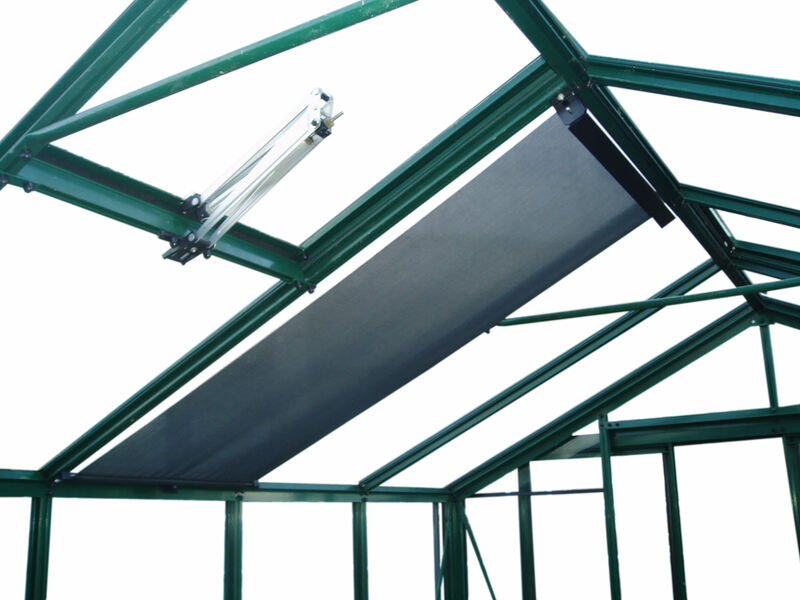 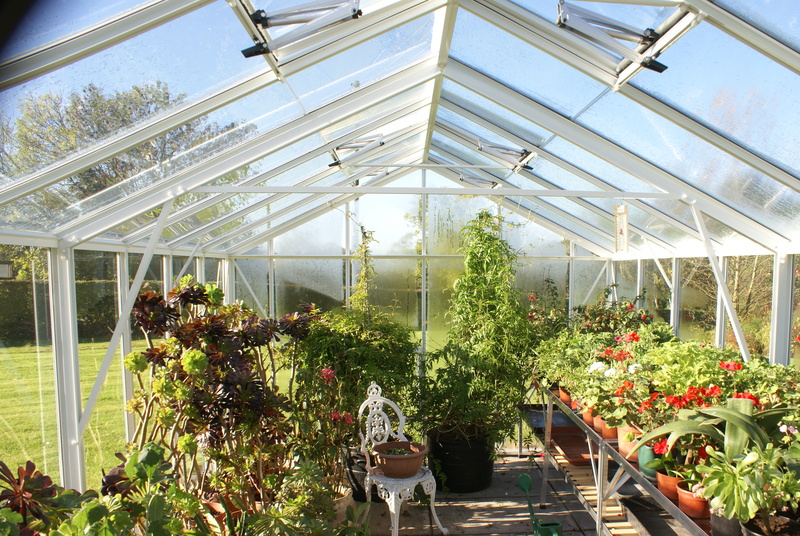 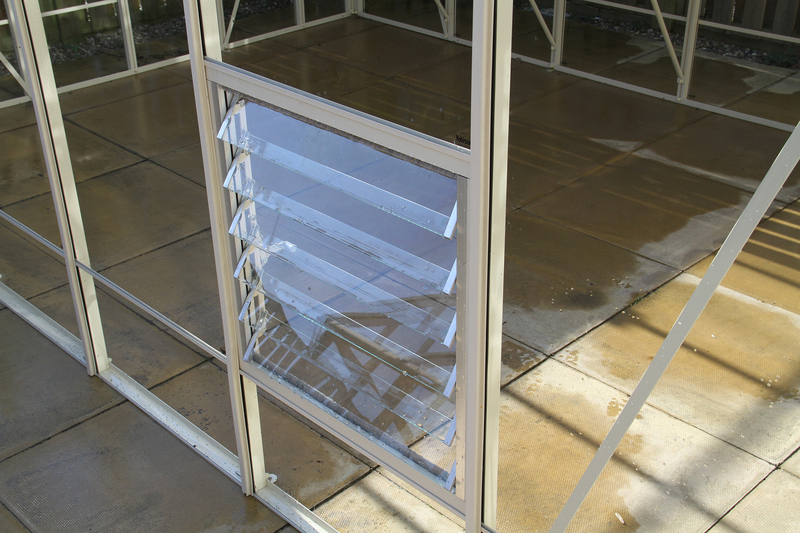 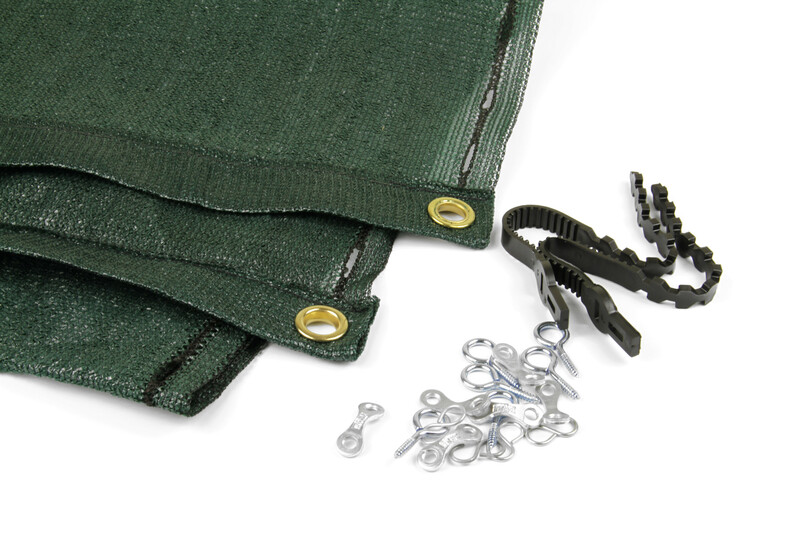 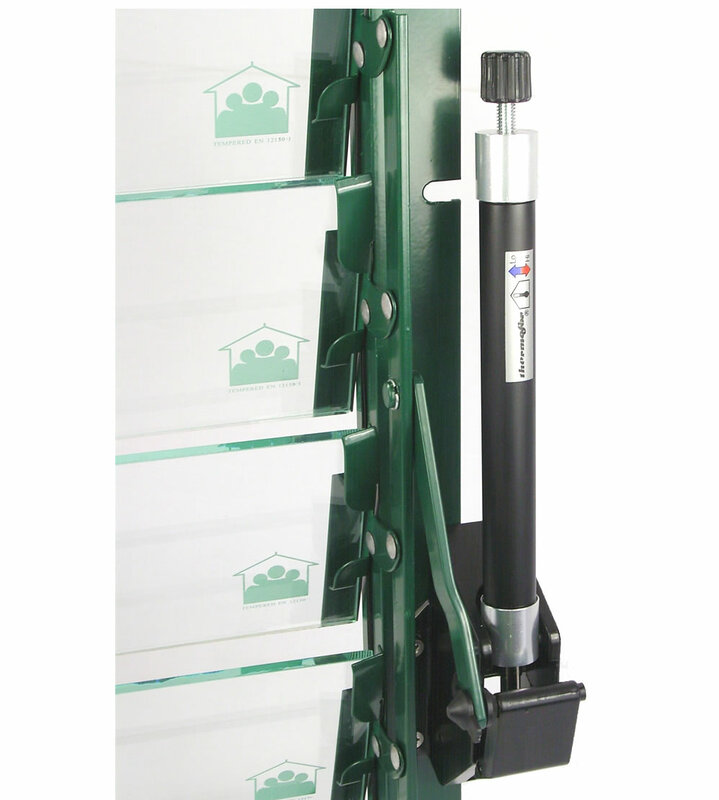 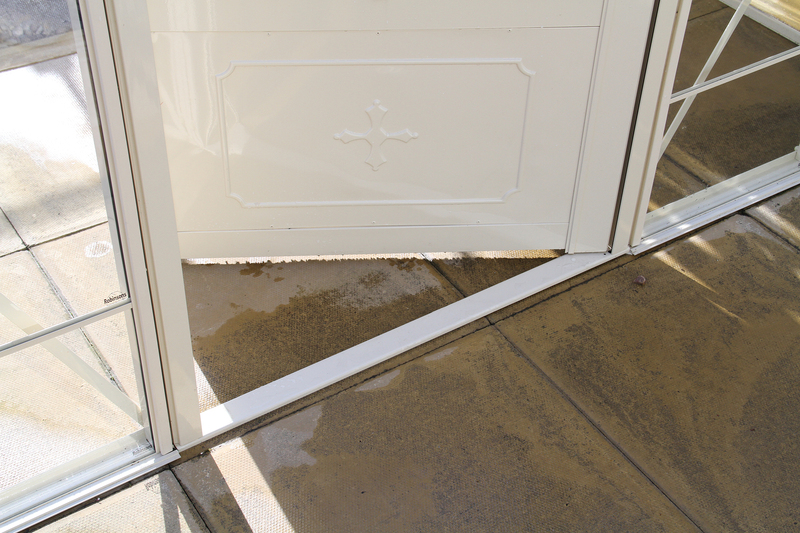 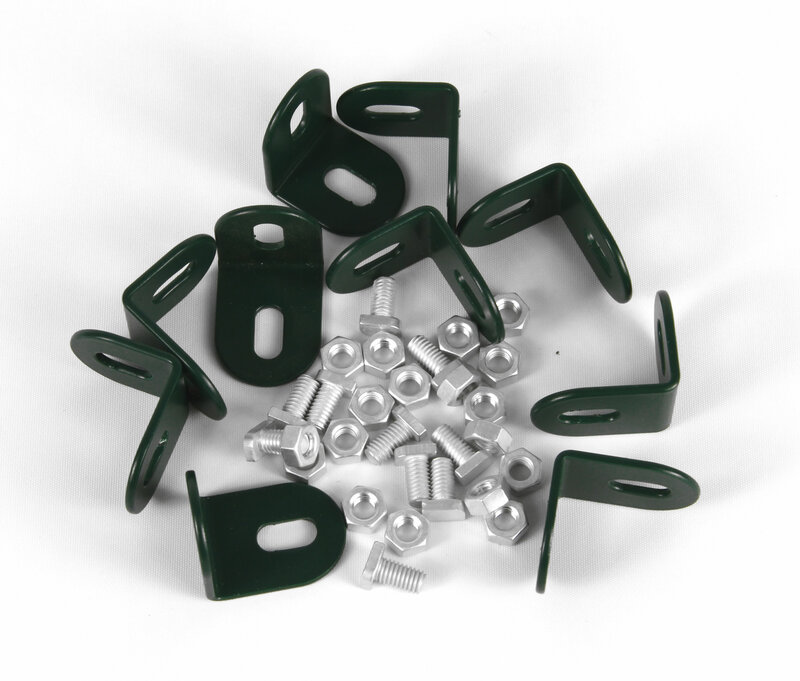 Further enhanced by the extra strong 4mm toughened glass and the way that it is literally clamped in by a screw-in PVC bar capping – not like flimsy wire clips or even push-in type bar cappings that appear on other greenhouses. A Rosette is the greenhouse for a serious gardener, with a larger garden. Common sizes might include 10x16 or even 10x24, with an 8ft area at the back partitioned off (with the optional internal partition) to create a propagation area with extra heating. 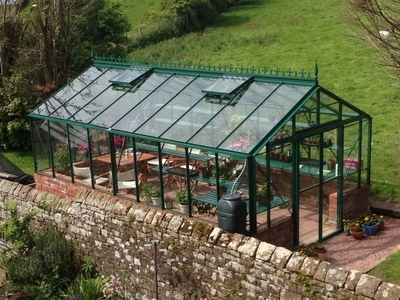 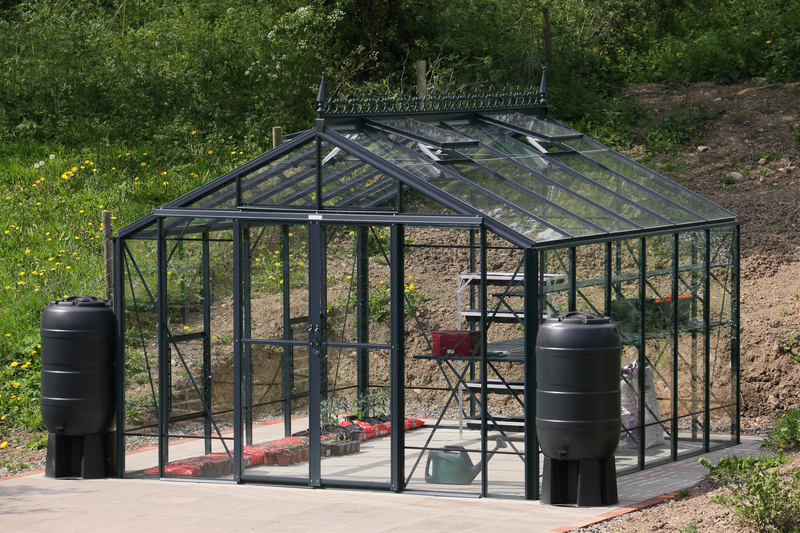 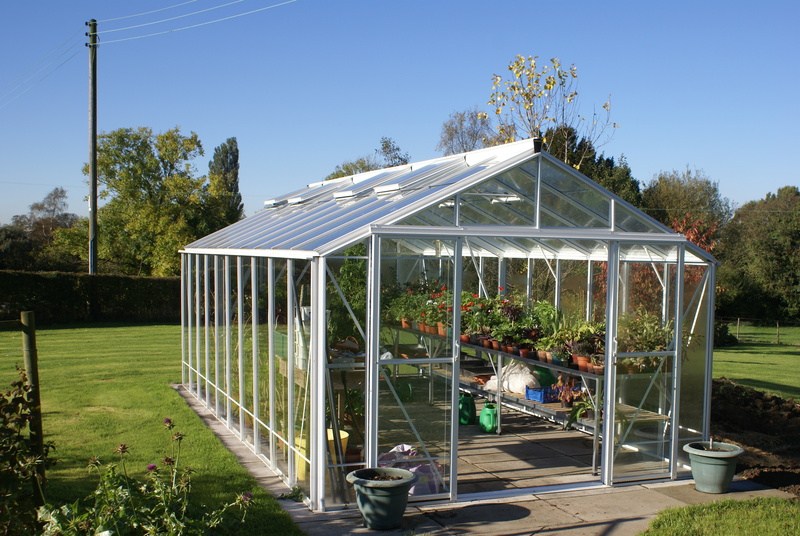 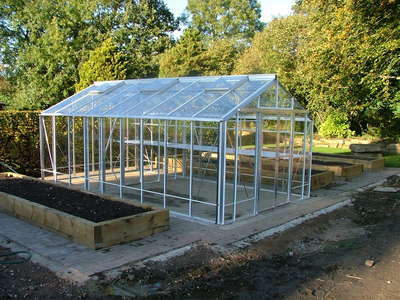 You can have your greenhouse in plain aluminium. 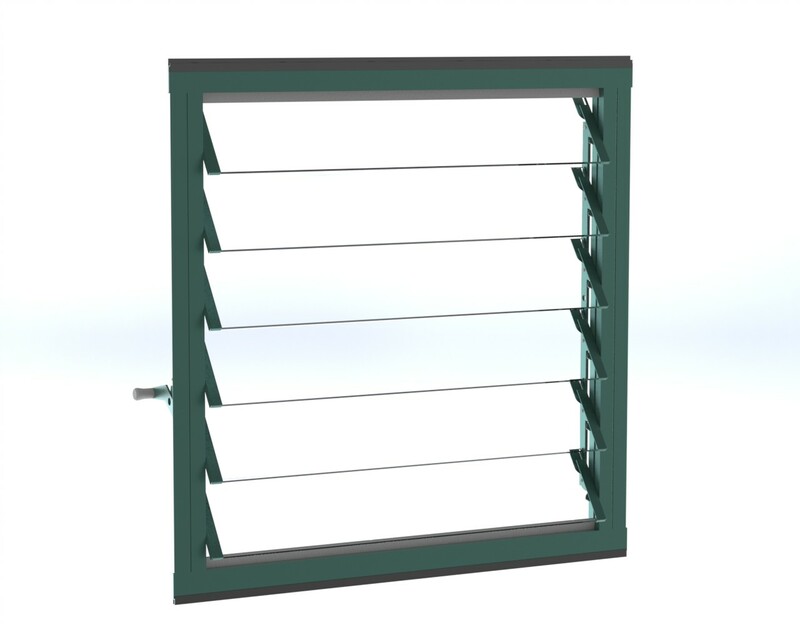 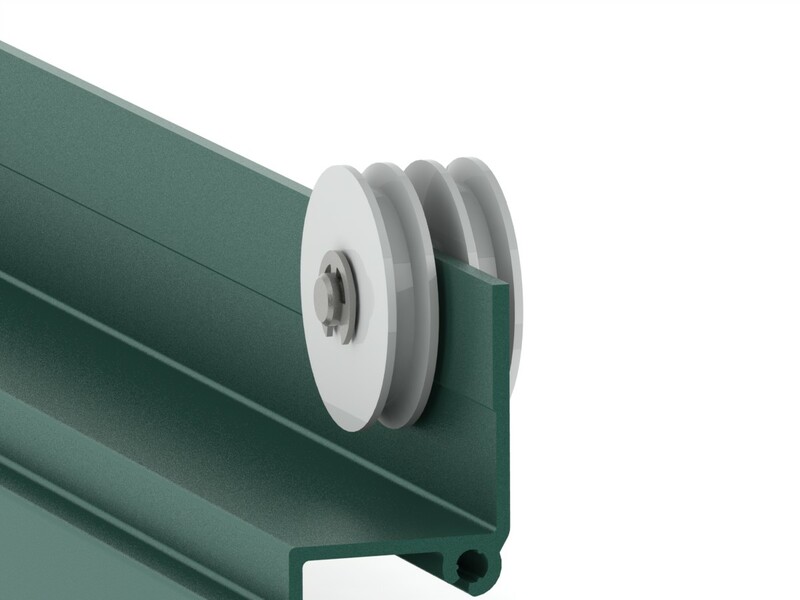 If you opt for a plain aluminium (mill) finish, then the bar capping will be provided in a contrasting white colour. 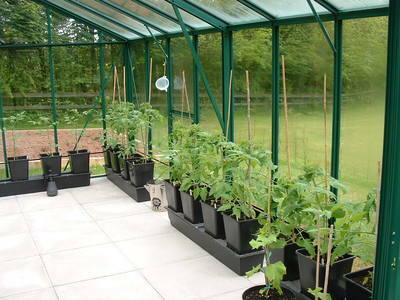 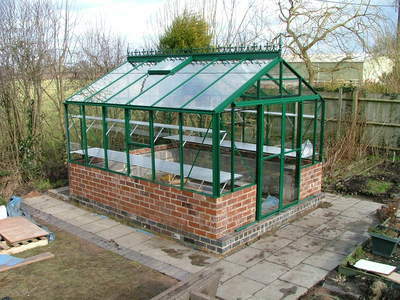 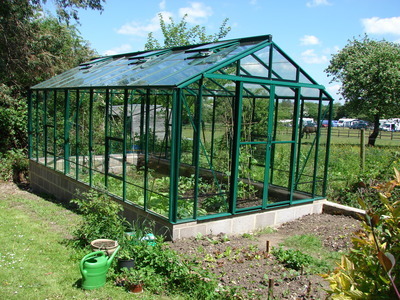 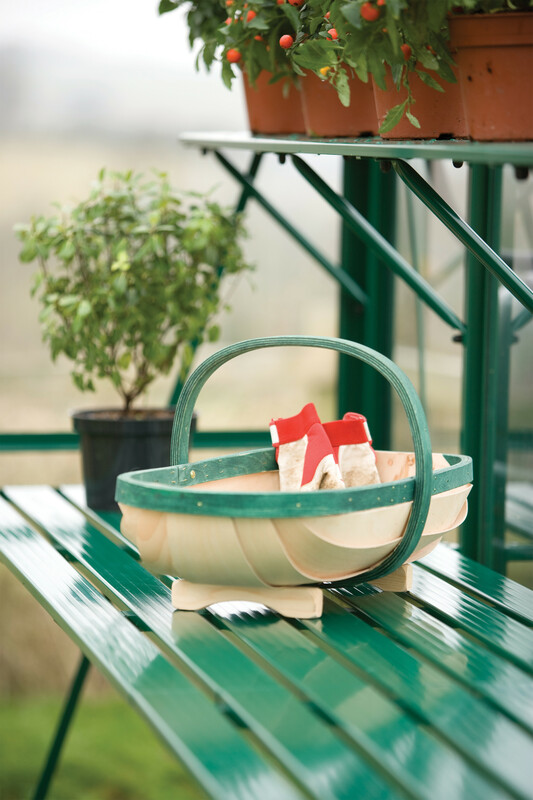 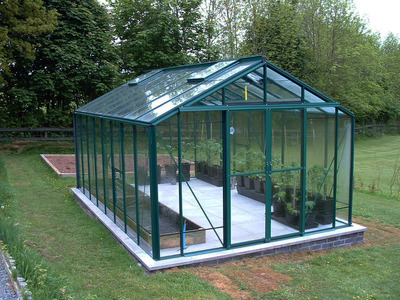 You can have your Robinsons greenhouse specially powder coated in a white* or green. Powder coating is an extremely durable method of adding colour to your greenhouse. 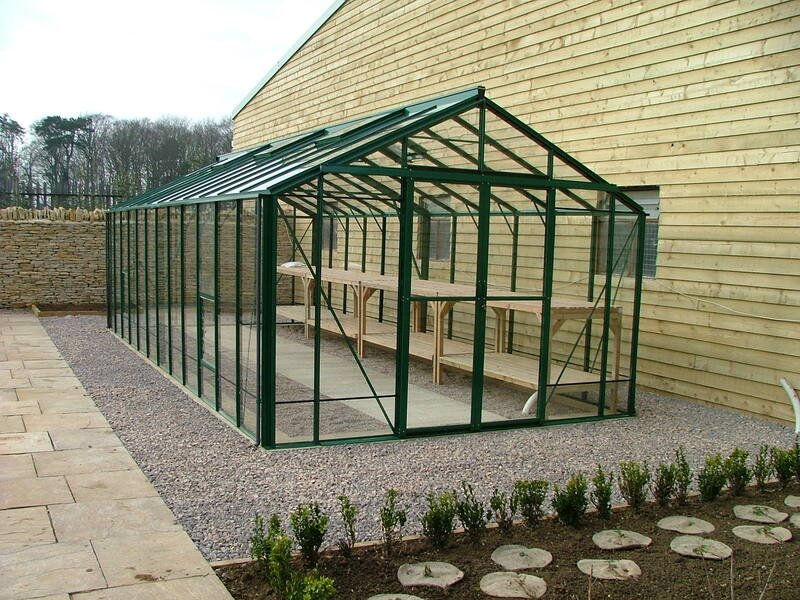 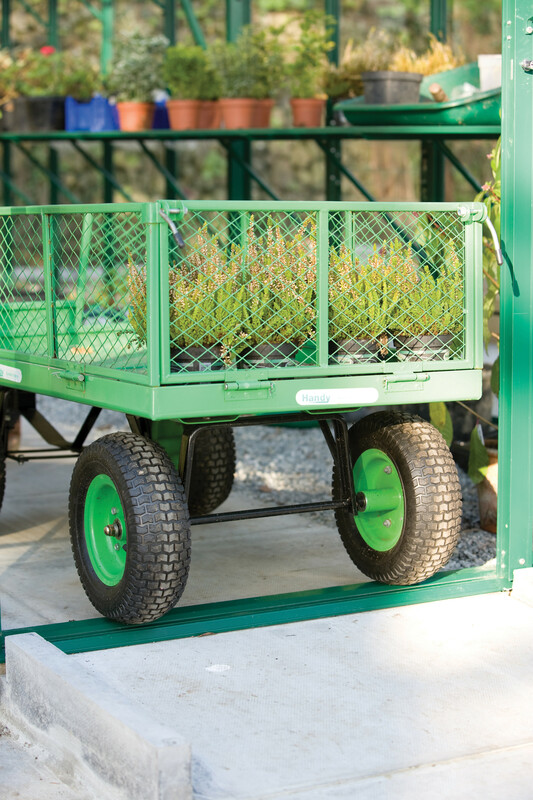 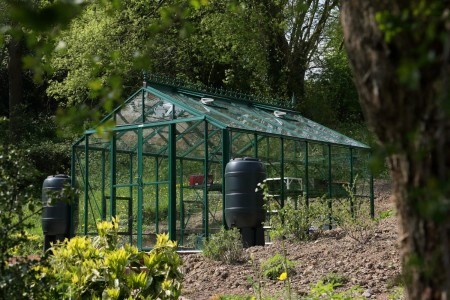 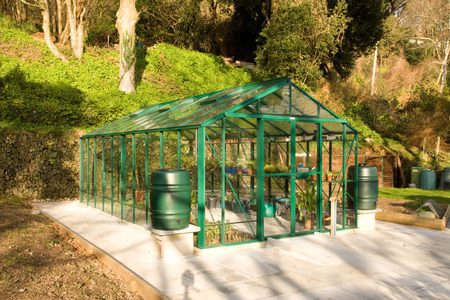 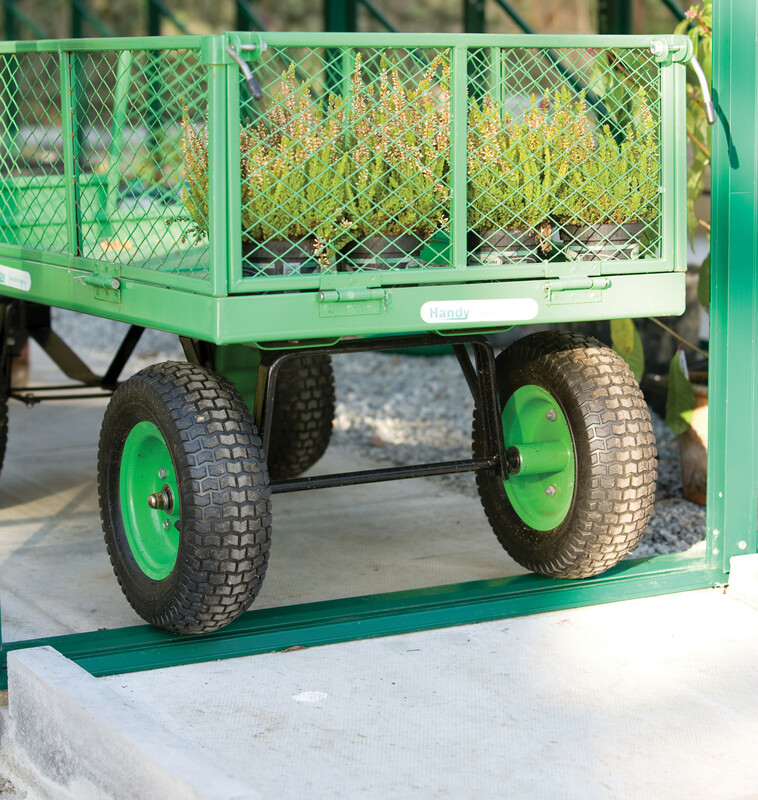 We guarantee powder coated finishes against flaking and discolouring for 10 years, though in reality, it's likely the powder coated finish will stay looking new for the lifetime of the greenhouse. Bar capping is provided in a matching colour providing a very neat look.